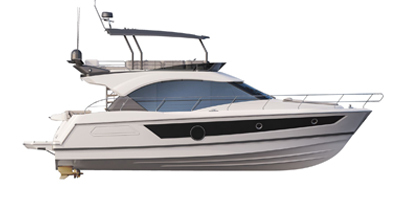 The minute you set to sea on the Antares 6, you feel comfortable and safe. 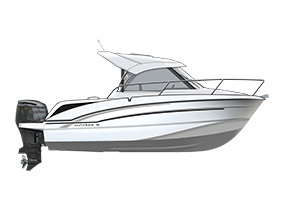 She’s perfect for confidently discovering the pleasures of boating ! The numerous hand rails make the Antares 6 easy to move around and add to the feeling of safety. Cockpit converts into sun-lounger. Lockers under seats. Facing saloon seats with panoramic view of the exterior. Converts into berth. Wooden table. Driving station: bolster function seat, control panel with space for electronic navigation.